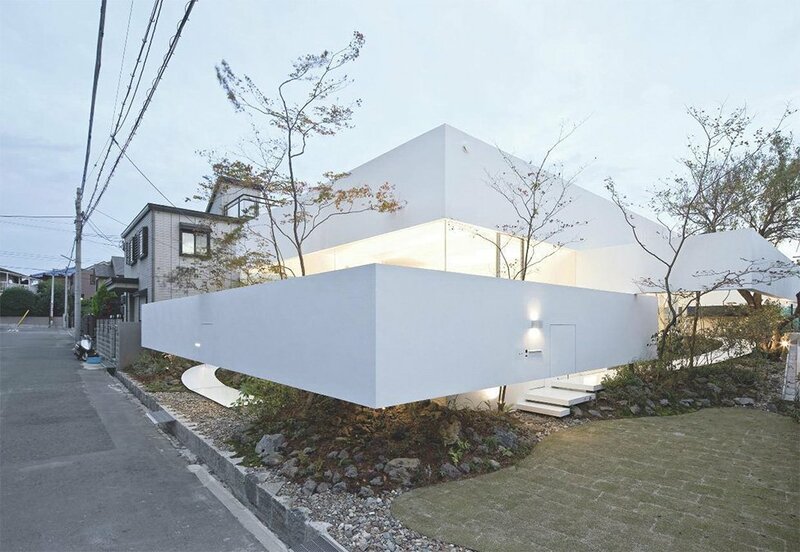 UID Architects is a Japanese architecture firm that’s based in Hiroshima, Japan. Greenscaping the interior of the house to weave in the green space of the exterior further highlights the seemingly expanding footprint, which is smaller than expected. Walls were replaced by built-in furnitures to minimize spatial usage, as well as to connect interior spaces. The minimal yet complex design is what makes this house stand out. I adore the functional and effective moves that the architect used to modify such a small site. Even the white path leading from the outside to the inside, adorn with pebbles and green, is a simple decision that helps lighten up this atelier.